George take 2 of 3 from CATS. 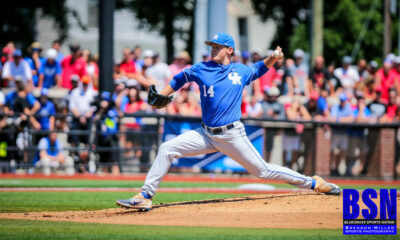 The Kentucky Wildcats got back on the diamond this weekend coming off a win against Morehead State 7-0. Kentucky played a three-game series against #4 ranked Georgia with game times of 7 PM on Thursday, 6:30 PM on Friday, and Saturday at 10:00 AM. Kentucky came into this series 15-10 overall and 0-6 in SEC play. Georgia came into this game 22-4 overall and 6-1 in SEC play. The series was huge for Kentucky considering they were win less in conference play. To start the first game, Jimmy Ramsey got the start for Kentucky who is 2-1 on the season. Hancock got the start for Georgia who is 5-1 on the season. Georgia got on the board first in the top of the second inning off a solo homerun from Cable to put the Bulldogs up 1-0. Kentucky countered in the bottom of the third with a solo homerun from Breydon Daniel to tie the game at 1-1. In the top of the fourth inning Georgia scored four runs and then added two more runs in the top of the fifth. Kentucky scored in the bottom of the fifth inning with another solo homerun from Breydon Daniel to put the score to 7-2. Kentucky scored one more run in the bottom of the seventh inning with C.Kessler grounding out to first base, scoring Z. Lewis to put the score to 7-3, which ended up being the final score. In the second game, Z. Thompson got the ball to start for the Wildcats and CJ Smith got the start for the Bulldogs. The first two innings were scoreless. In the bottom of the third inning A. Schultz singled up the middle, scoring Z.Lewis. 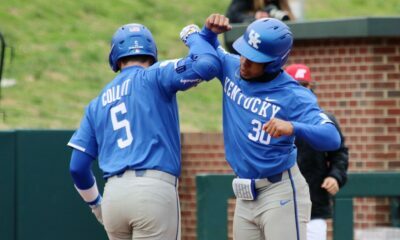 Kentucky added three more runs in the bottom of the fourth inning when Jaren Shelby scored on a passed ball, Breydon Daniel then scored on a wild pitch, and E. Curtis scored on a wild pitch again to put the Cats up 4-0. In the bottom of the sixth inning Dalton Reed reached on an error by the second basemen, scoring Breydon Daniel, unearned. 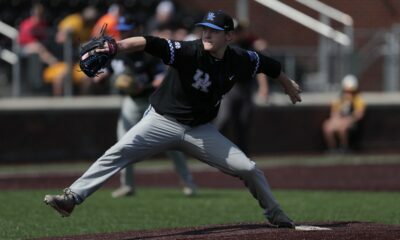 The Cats shut out Georgia and Z. Thompson pitched the complete game shutout. Thompson pitched nine innings, struck out thirteen batters, and allowed only two hits. Kentucky picked up their first SEC win on Friday night, putting them to 1-7 in SEC play and hoping to pick up another one Saturday morning. For the final game of the series, D. Marsh got the start for Kentucky and Locey got the start for Georgia. Georgia started the game off hot, scoring five runs in the top of the first inning. 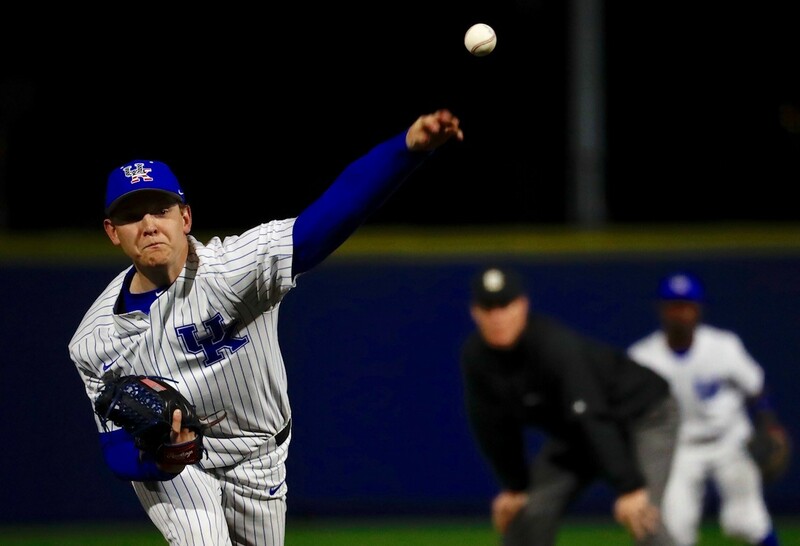 Kentucky fought back scoring a run in the bottom of the second, one run in the bottom of the fourth inning, and two runs in the bottom of the fourth inning to put the game to 5-4. In the top of the fifth inning, Georgia added on three more runs to put the score to 8-4. Kentucky fought back in the bottom of the eighth inning, scoring four runs to put the score to 8-8. Neither team scored in the ninth inning, which put the game into extra innings. Georgia scored two runs in the top of the tenth inning and Kentucky was not able to get on the board in their last at bat. Georgia defeated Kentucky 10-8 in ten innings in the final game of the weekend. Kentucky went 1-2 on the weekend put their total record 16-12 and 1-8 in SEC play. Kentucky is currently ranked last in the SEC East. Kentucky hits the field again Tuesday at the University of Louisville at 6 PM. Kentucky has another three-game SEC weekend series against the University of Missouri on the road. Kentucky still has twenty-one SEC games left to play this season. Hopefully they can regroup and look at the positives from this past weekend, competing very competitively with the #4 ranked Georgia Bulldogs. Weekend Recap: Jimmy Ramsey and Daniel Harper both picked up losses on the weekend. Z. Thompson picked up the win on Friday and pitched the complete game shutout. Jimmy Ramsey moves to 2-2 on the season, Daniel Harper moves to 2-1, and Zack Thompson moves to 2-0 on the season. In the first game, Kentucky was led at the plate by Breydon Daniel going 2-4 with two homeruns and Z. Lewis going 1-1. In the second game, Kentucky was led by A. Shultz going 1-4, Jaren Shelby going 1-3, Dalton Reed going 1-3, and Z. Lewis going 1-3. In the final game, Kentucky was led by Ryan Shinn going 3-5, Jaren Shelby going 3-4, C. Kessler going 3-4, and A. Shultz going 3-6. 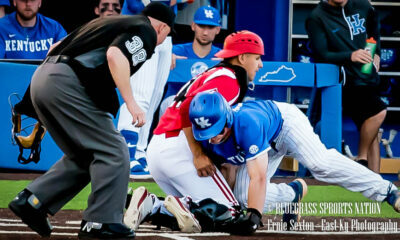 On the weekend Kentucky left twenty runners on base, committed five errors, had twenty-three hits, and scored fifteen runs. Kentucky moves to 16-12 on the season and 1-8 in SEC play.